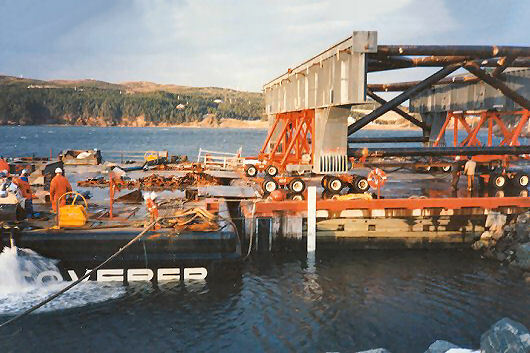 In November 1994, a total of six Hibernia sub-modules were loaded onto the ocean-going barge AMT DISCOVERER at the Finland Industries construction yard in Marystown, Newfoundland. 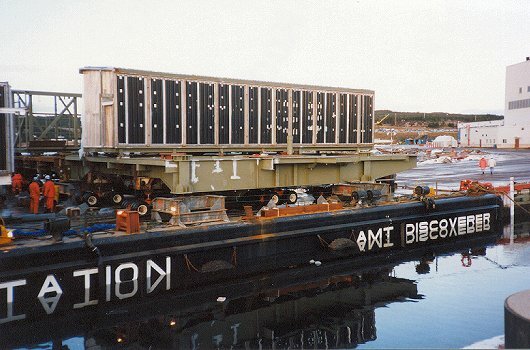 The weight of the modules ranged from 150 to 250 t. For the load-out, self-propelled hydraulic dollies were used. 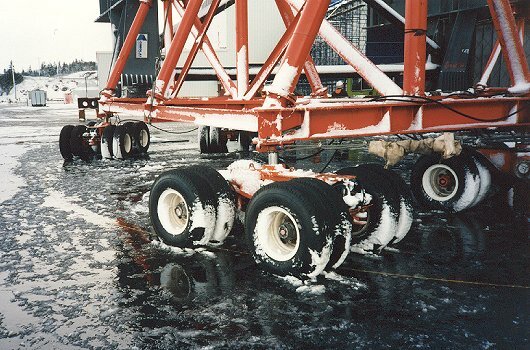 These dollies were positioned under the strong points of the sub-modules. 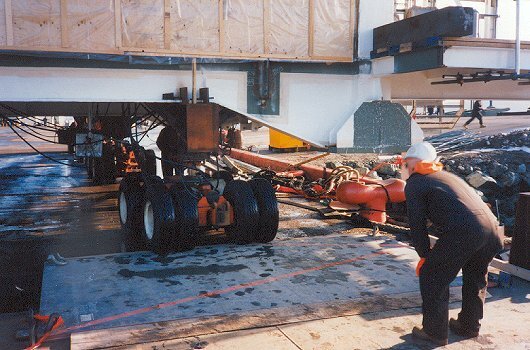 Special truss work type support frames were used for the drill floors. 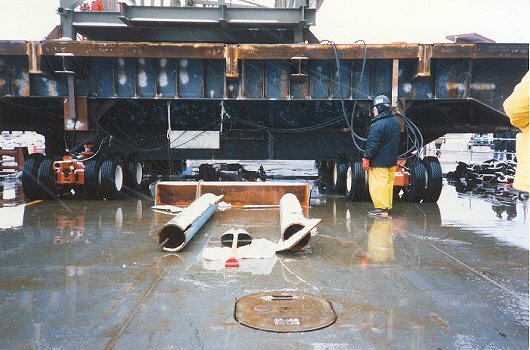 Structural analysis of the load-out frame for the drill floor modules.